Our human machine interfaces are durable touch-screens that communicate with a PLC. 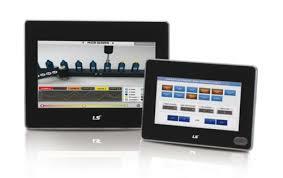 HMIs can be used to monitor or control system variables and serve as an operator’s workstation. They allow processes to be started, stopped or modified. Batching applications are a breeze on LSIS HMIs, which are full color and support animations. Have a question about Human Machine Interfaces (HMI)?